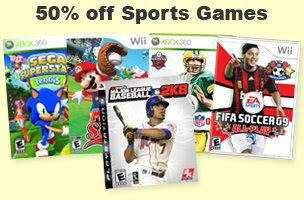 NextGen Player is continuously on the hunt to discover great gaming deals for our readers to take advantage of. In keeping with this endeavour, we have found some good gaming promotions being advertised at Blockbuster Canada. There are 2 deals at the moment. 1. PS3 Father's Day Promotion - From June 19th to June 21st, purchase a PS3 80GB system for $369.99. That's approx. $30 off the retail price. 2. 50% Off Sports Games - Receive 50% off the purchase of any previously played sports game when you rent any New Release or Favourite Game. Promotion runs from June 16th to July 6th. For more details, you can visit the Blockbuster Canada website.